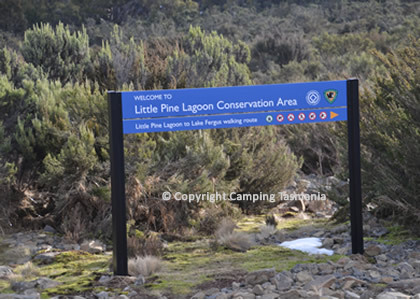 The Little Pine Lagoon camping area is located immediately next to Little Line lagoon, which is beside the Marlborough Hwy (B11), 7 km west of Miena, in Tasmania’s central highlands and that connects Miena to the Lyell Highway. 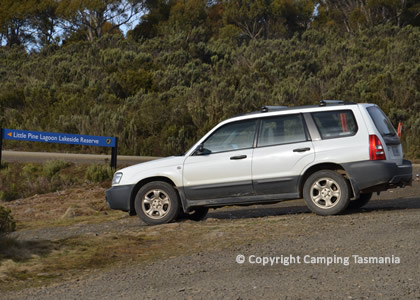 This is a gravel road that is generally good, but can be challenging after heavy snow or rain. 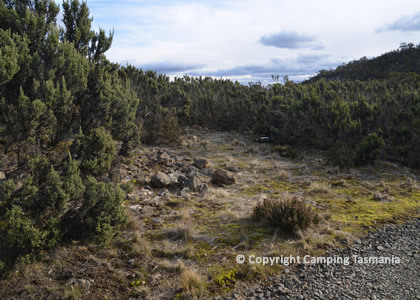 From the highway, the Little Pine Lagoon camping area is a further 500 m to the grassed camping areas located along beyond the permanent shacks; there are separate areas for tents and trailers. 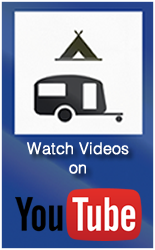 No fires are allowed under any circumstance, so gas/fuel stoves must be carried. 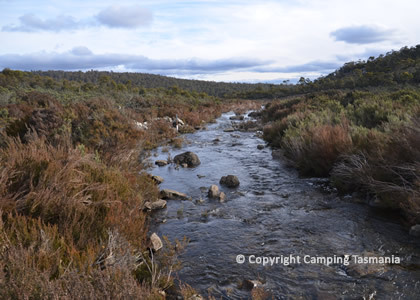 Contact Inland Fisheries Tasmania on 1300 463 474 for more information. 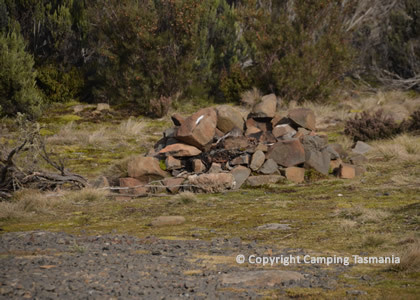 Camping fees are payable at the self-registration station and a valid Fishing Licence is required to fish; check season and regulations www.ifs.tas.gov.au This campsite is located in Little Pine Lagoon Lakeside Reserve and by many locals and visitors to Tassie is considered one of the best fly-fishing waters in Australia, with wild brown trout being the main reason anglers come to this Lagoon to fish. 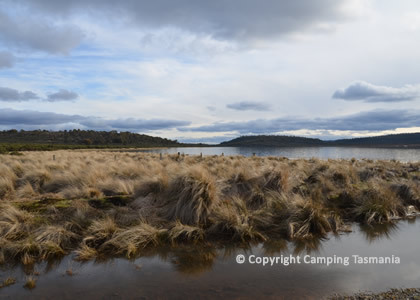 When full, the lagoon is around 220 ha of shallow water surrounded by open grasslands and banks enabling you to fish at many locations around Little Pine Lagoon. 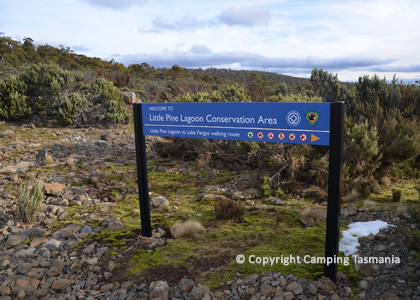 Conditions can be very harsh during Winter - area is subject to heavy snow, strong winds and rain - please ensure you are well prepared to camp at Little Pine Lagoon. 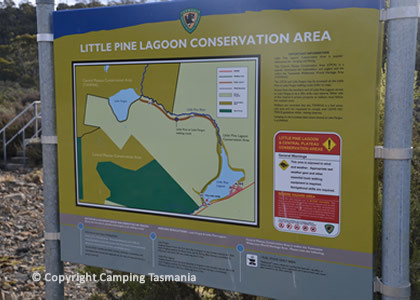 There boat launching faci8lities at Montpeelyata Canal, but to protect the lagoon’s population of trout, boating speeds are restricted and there is a no-boating restriction 100 m from Little Pine Dam.